Sit and Store ~ Just like window seats inside your home, built-in benches on the deck can be made to offer ample storage space below for outdoor games and decor. 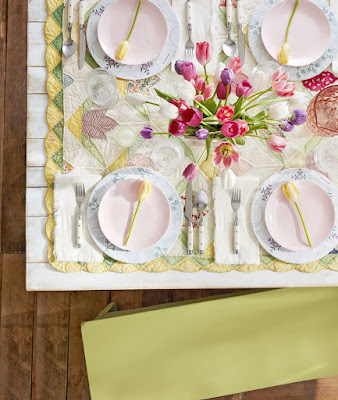 Cover the top of the benches with comfy cushions upholstered in fabrics that will stand up to the elements. 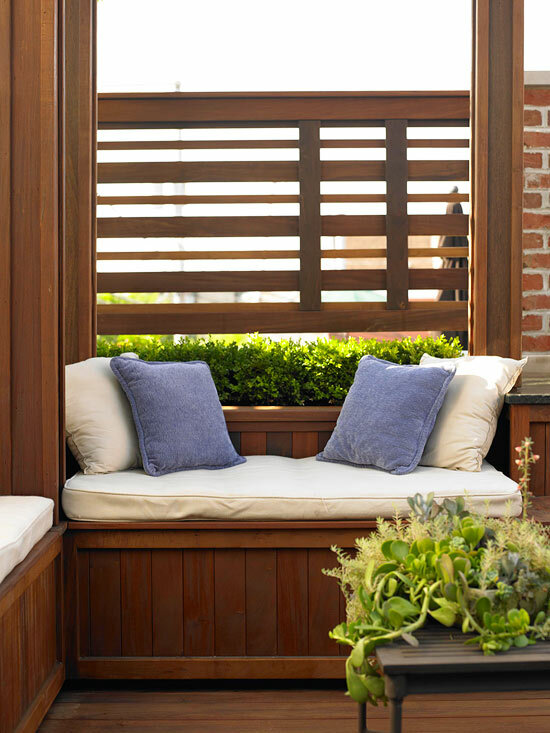 Comfy outdoor throw pillows add another level of comfort and style. 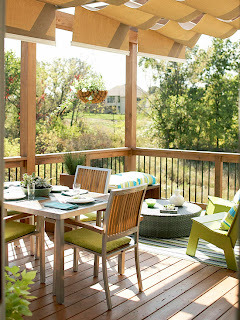 Cover Up ~ A wooden pergola dressed in panels of outdoor fabric allows entertaining even when the weather isn't perfect. 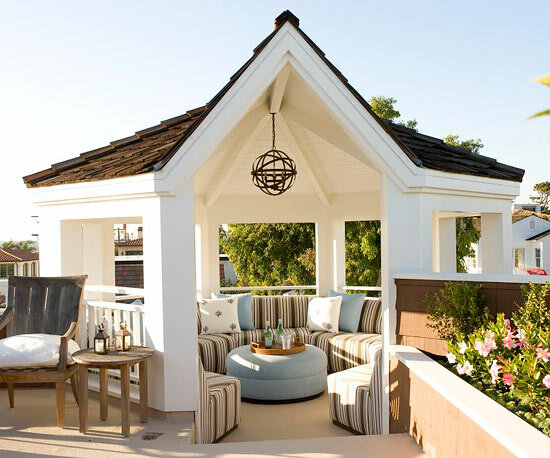 For a more sturdy covering that can stand up to heavy rainfall, consider purchasing a custom roof frame outfitted with clear polycarbonate panels. Build an Addition ~ An attached gazebo can serve as a wonderful entertaining space when outfitted with comfy seating and lighting. Other structures, such as greenhouses, can also serve as convenient getaway spots while still fulfilling their designated purposes. 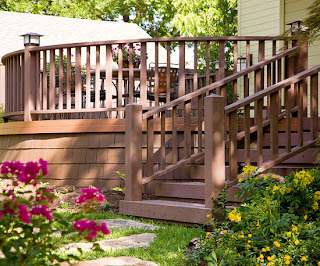 Wrap Around ~ A railing, gate, or other entry feature can turn your deck into a safe, cozy enclosure. 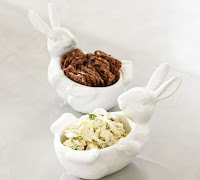 Plus, the railing provides a platform for fitted planters, birdbaths or bird feeders, or other garden ornaments. Top your railing with a ledge so it can double as a spot to set drinks. Furnished with Style ~ Before you purchase any outdoor furniture, make sure you consider all of the choices available. 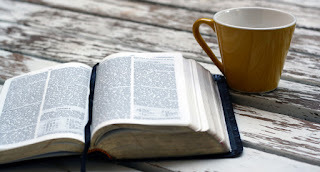 Furnishings made of hardy woods, aluminum, steel, and recycled plastics are some of the most common options available today. 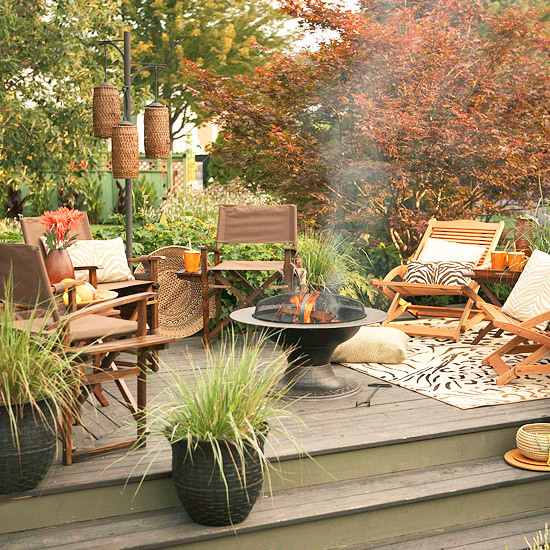 Include an outdoor rug and a fire pit to create a warm and inviting gathering space. 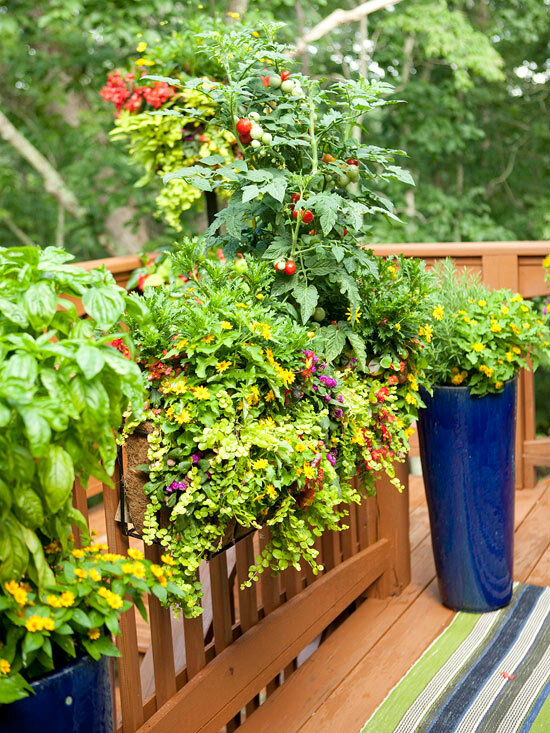 Natural Colors ~ Whether bursting with flowers or foliage, plants are the perfect way to enliven a space and soften a deck's edges. If you have a wooden deck, hang the pots or place them on brick or other supports so they're not in direct contact with the floor when you water the plants -- that can lead to wood rot. 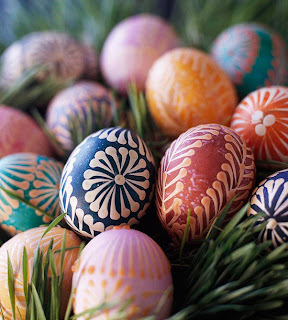 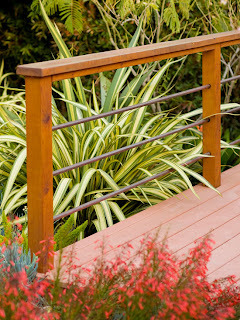 Spring for Upgrades ~ Give your deck a big style update by replacing tired wooden rail spindles with wrought-iron ones. If you live in a wetter climate, you might also want to consider switching out standard wooden deck boards for rot-resistant composite planks that will increase the staying power of your entire deck. 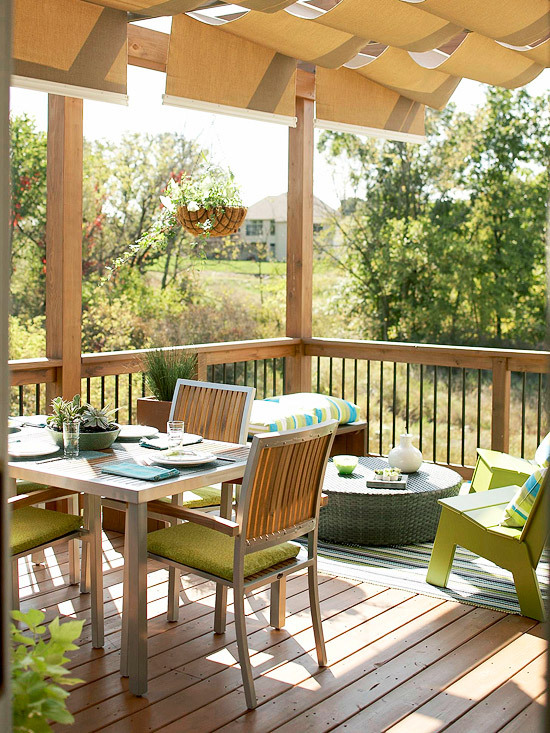 Room for More ~ Turn your deck into a style statement all on its own by adding a curved edge for visual interest. 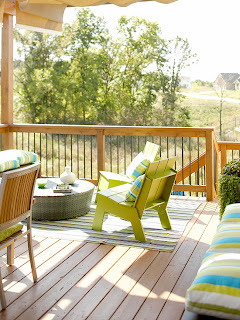 Extending your deck in one or several directions or adding multiple levels also increases style and function. 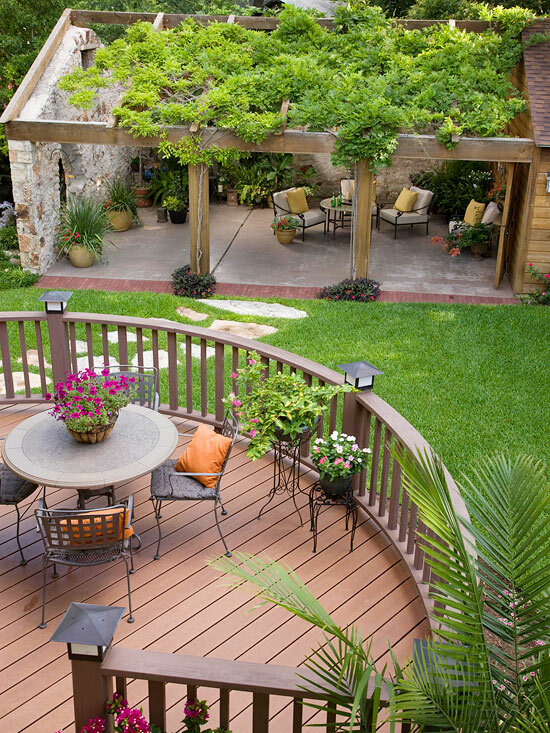 Light It Up ~ Solar or low-voltage post-top lights create ambience when your dinner guests linger during a summer evening. If your deck features multiple levels, you might also consider adding small lights on each step to prevent falls after the sun goes down.